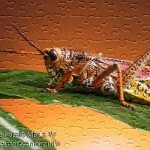 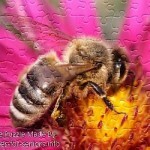 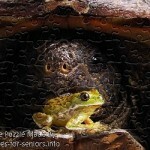 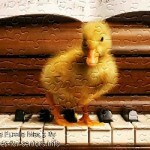 Here we have a printable jigsaw puzzle “Zebra 1” which is very lovely looking zebra with its head on top of another one. 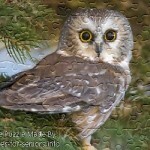 The small image shown here is just for your pleasure, the large sizes are in the FREE zip file below. 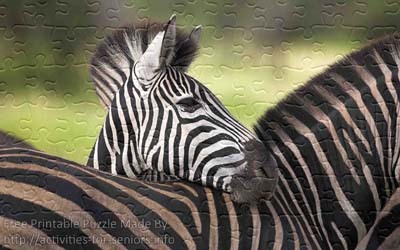 FREE Printable Jigsaw Puzzle: Zebra 1 (Small + Large Pieces). 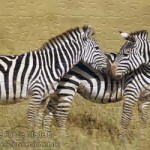 Very lovely looking zebra with its head on top of another one.